View of Parsons House where the roof meets the back wall. 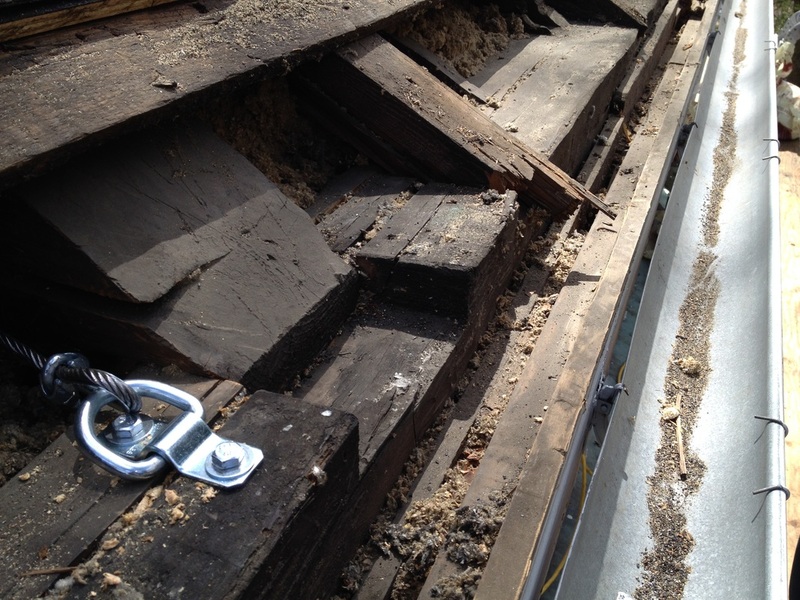 The roofing is off, but you can see the gutter at the right. In the lower left quadrant of the photograph, you can see that one of the beams has slipped about four inches out of its slot in the rear plate. A cable has been installed next to it to prevent further movement. 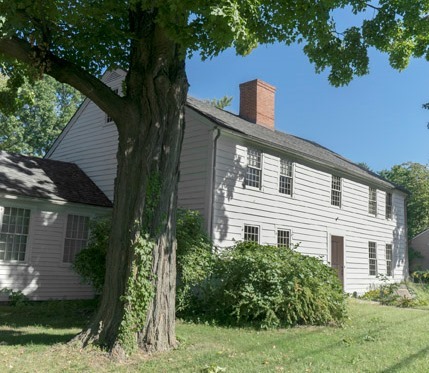 The interior of Parsons House is currently closed to the public pending major repairs. 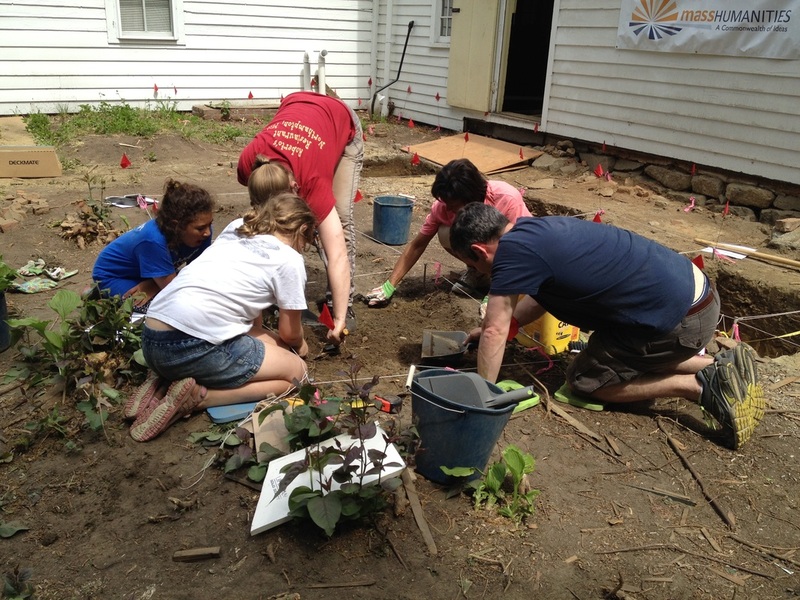 This critical structural work includes repairing foundations along the back wall of the house and excavating a basement. In May and June of 2015, before the heavy equipment came in, professional archaeologists surveyed the area that would be impacted by the work. 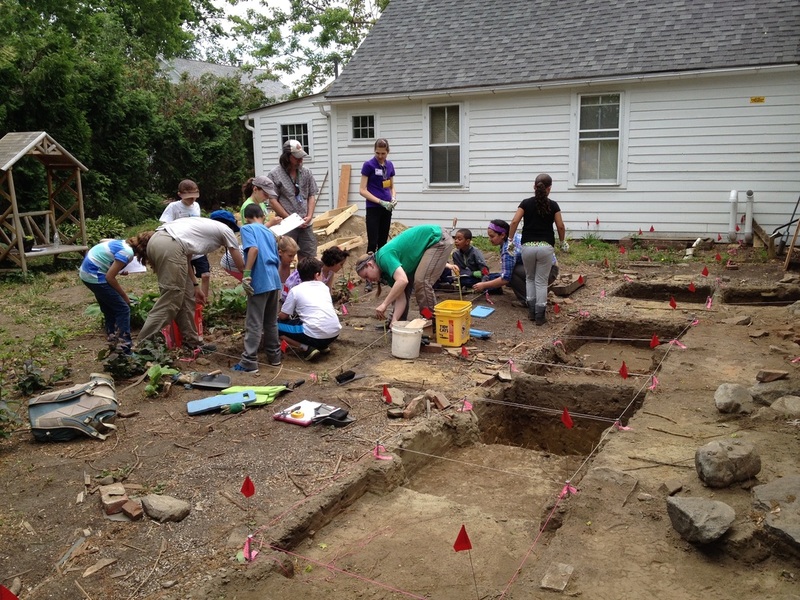 Thanks to a grant from Mass Humanities, over 200 schoolchildren participated in the dig, and another 200 adults visited or volunteered at the site during the hours when the site was open to the public. Structural repairs to Parsons House and window repairs to all three houses are being funded through the City of Northampton Community Preservation Act.